3rd date added - Sun June 3rd 2018 - GLASGOW HAMPDEN PARK! 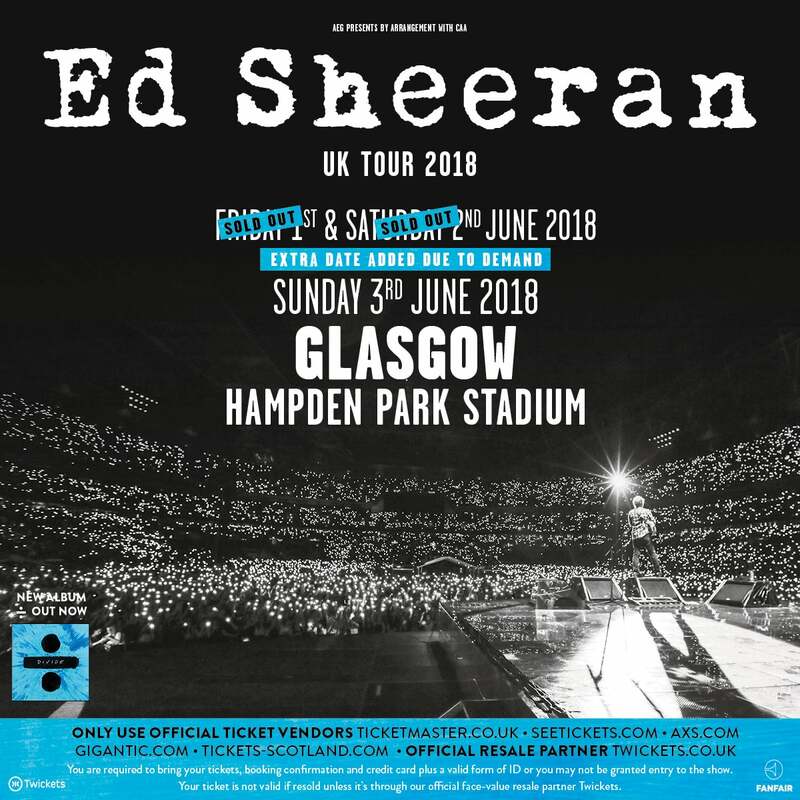 Due to phenomenal demand Ed Sheeran is delighted to announce extra dates to his nationwide 2018 UK stadium tour, marking the biggest tour of his career to date! Ed’s 2018 tour news - which is on course to become the UK's biggest tour routing of next year – closely follows the troubadours’ phenomenal Glastonbury headline performance. Commanding thousands at the Pyramid Stage on Sunday evening, pulling in one of the festivals’ biggest-ever crowds, and with over 3 million viewers tuning in from home, Ed continues his rise as one of the world’s most successful and unique musical talents!